Dreaming is a phenomenon that all humans experience, whether one remembers the dream or not. 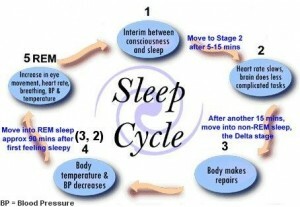 While sleeping there are five phases that humans go through. The phases are simply numbered one through four with the fifth stage being called REM. You can read more about the sleep phases here. The phase that dreaming occurs in is called the REM phase. Although dreams may occur in non-REM phases, the dreams you remember most often occur in the REM phase. This is due to the fact that the REM phase is the sleeping phase that occurs closest to one waking up. If woken up during a REM phase, you will most likely completely remember what you were dreaming about. Interestingly enough, dreams affect the way one acts during the day. If you had a nightmare the night before, then that day you may not be so happy and have a very moody attitude (Sandford). Dreams often have a lot of emotion attached to them. The reasoning behind this is that the limbic system, which is a part of the brain that controls emotions, is working most when one is asleep (Sandford). While the limbic system is heavily awake in your brain, one’s dorsolateral prefrontal cortex is completely dead in the brain. This controls one’s reasoning and whether something they are imagining is logical or not. This explains why dreams are often of unlikely events or things that would not normally happen to the dreamer or people in general (Sandford). Interestingly pain can occur while one is sleeping. This can be both physically (real pain felt, for example, tingling in an arm or leg) and mentally (felt in the dream). More about pain in dreams can be found here. Another thought-provoking phenomenon about dreaming is that it can actually help people learn. Often you hear people say that if they sleep while thinking about something, then they sometimes will wake up and have a new fresh idea. The logic behind this is that new memories have to be processed in the brain the same way the brain processes itself while one is asleep (Sanford). The sleeping phases and dreams are an interesting thing to study. This topic concerns all people, and it is cool to learn about what is happening in your brain while you are asleep. It is compelling to understand why you remember certain dreams, how much dreams affect your day, and whether you remember your dreams or not. Sandford, Maggie Ryan. “5 Actual Facts About the Science of Dreams.” Mental Floss. N.p., n.d. Web. 15 Sept. 2016. “Doctoricious!” Doctoricious. N.p., n.d. Web. 15 Sept. 2016. This entry was posted in Uncategorized on September 15, 2016 by Allison Maria Magee. I thought your post was awesome because I am absolutely fascinated by dreams and think they ae one of the most interesting things about human consciousness. One of the things I think is the coolest about dreams are lucid dreams. I don’t know if you have ever heard of them but they are the most bizarre yet exhilarating phenomena you can experience. It has only ever happened to me once, but it was a dream I will never forget, and it happened to me a couple years ago, when I was in a sleeping in a hotel one weekend for a hockey tournament. Another interesting part of dreaming I think is lucid dreaming. Where you are aware that you are dreaming, and sometimes can control the dream itself. I’ve never actually experienced it, but it sounds really cool to be able to control a dream and do anything you want.